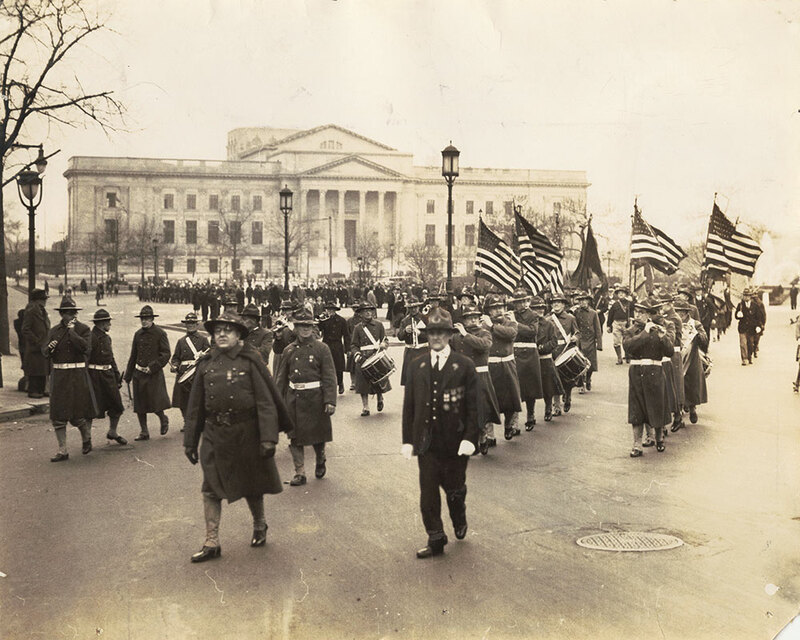 Caption for this January 29, 1934 photograph in the Public Ledger: "A parade of United Spanish War Veterans of Philadelphia and their auxiliaries yesterday opened two-day celebration of the ninety-first annivesary of the birth of President William McKinley, which will include a banquet at 1811 Spring Garden Street this evening. Photo shows ceremony as veterans, led by their Marine Band, past the Benjamin Franklin Memorial on the Parkway en route to McKinley Statue at City Hall." The "Benjamin Franklin Memorial" mentioned above is actually the Franklin Institute. Technically, the memorial is the giant statue of the seated Benjamin Franklin, located in the rotunda of the Franklin Institute.